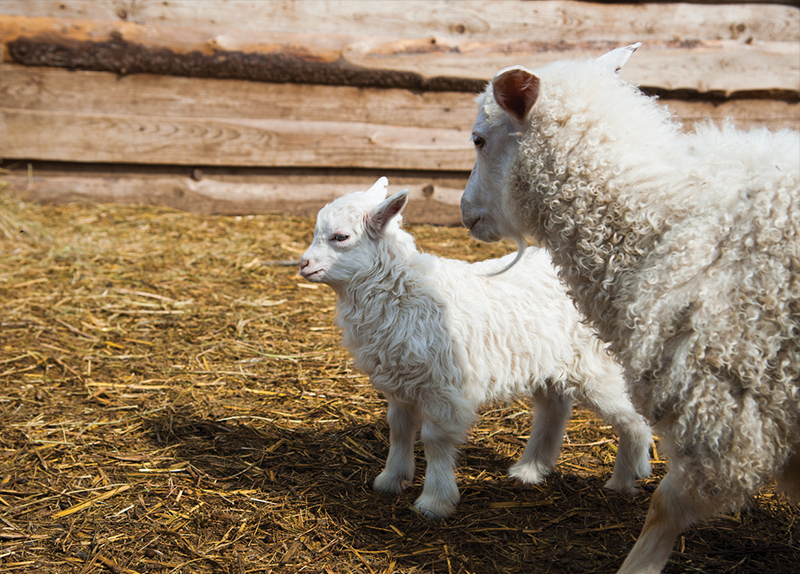 Sheep are among the earliest domesticated animals. There are more than 10,000 distinct breeds of sheep, and people raise them all over the world. They have short tails and curly fleece. Male sheep are called rams, females are ewes, and young ones are lambs. They are important because they provide people with meat, milk, and leather. As herbivores, they usually eat plants, vegetables, and grass. 1. What do people get from sheep?